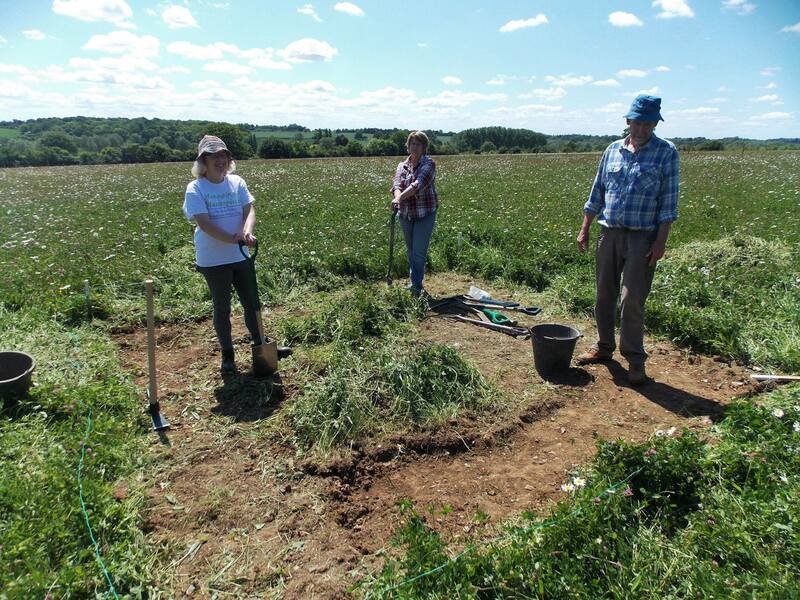 This section of the website provides details of the current dig and other fieldwork; also excavation reports relating to previous projects. Work in conjunction with Fordham History Society started in June 2015 and is ongoing. Digging takes place on Tuesday, Thursday and Sundays. Site director is Jonathan Oldham. Anyone interested in taking part should contact him on moc.kooltuonull@gac.ohj for further details. 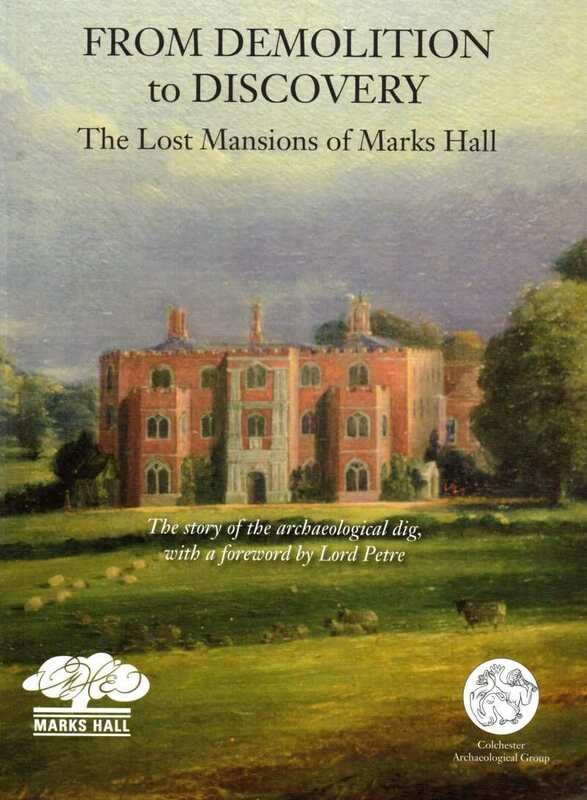 The Group was invited by the Trustees of the Marks Hall Estate to excavate the remains of a known Jacobean mansion. 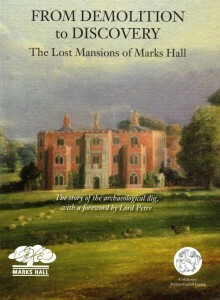 During the dig, not only the mansion, but also the footprints of two previous buildings on the site were discovered. The excavation is now being analysed and the report will be published on this website when completed. One unexpected find was an impressive flint Adze (or Axe head) by Keith. This could be early Neolithic and probably used to work the land, e.g. hoeing, rather than chopping down trees. CAG members were originally involved in a survey running from 2002 to 2005 to record the graffiti found on the walls of Colchester Castle. Reports appeared in Bulletins 42, 43 and 45 as well as in some CAG newsletters. With the closure of the castle for major renovation work in 2013 the opportunity arose to check for more. In 1928 workmen clearing a building site off Beverley road in Colchester discovered what turned out to be the tombstone of Longinus Sdapeze, a Thracian cavalry officer from the Roman period. This rare stone was found lying face down, broken into several pieces. The curator Rex Hull, arranged for it to be put on prominent display in Colchester Castle Museum, where it was been seen by thousands of visitors over many years, who would have observed the face of Longinus was unfortunately missing. Rex Hull suggested the memorial may have been deliberately vandalised during the Boudiccan revolt of AD 60. 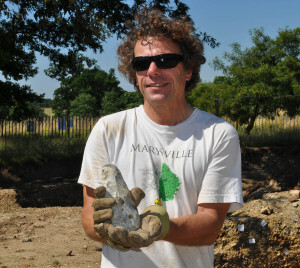 In 1996 the Colchester Archaeological Group, led by the late James Fawn, were given the opportunity to re-excavate the site, look for more evidence, the missing face and the course of the road alongside which Roman burials and memorials were erected. This report gives the technical details of the excavations as well as the excitement when the missing piece is found and raced to the Castle to check it matched with the rest of the tombstone.